With his exemption for winning his second European Tour title set to run out at the end of this season, Lowry must win or finish in the Top 110 in the Race to Dubai to ensure he's got a full card for 2015. But he's already 184th in the money list with just €14,063 from eight starts and while there are still 26 of the 46 official events on the schedule remaining — including majors, the World Golf Championships and the Volvo World Match Play — it's clearly not the start of the year that Lowry had in mind. Lowry had two double bogeys and a bogye in his last four holes, carding a second round 77 at Genzon Golf Club to miss the level par cut by five shots. Fitter than ever, he missed the cut by three in Abu Dhabi and by one in Qatar and Dubai in his first three starts of the year before making €9,450 for his share of 39th in the Tswane Open in South Africa in early March. He then made €4,612 for a share of 56th in the Trophee Hassan II but missed the cut by nine shots in the NH Collection Open at La Reserva de Sotogrande before missing out by a stroke in last week's Maybank Malaysian Open. It's clearly a scoring problem and while Lowry's driving accuracy and greens in regulation statistics are similar to previous years, his putting average is down on previous seasons. If Lowry has reaason for concern, Peter Lawrie must be doubly worried after missing his 11th cut in a row in China. The Dubliner hasn't cut a cheque since he finished 18th in a do-or-die performance in the Perth International in Australia last October to salvage his tour card. Since then it's been one miserable week after another for the 40-year old as he ended 2013 with three missed cuts on the spin before missing the first eight in a row this year. Ranked third on tour for driving accuracy with a 74% strike rate in 2011, he was 64th last year and is now close to last on tour with 38.85%. Despite that, Lawrie still shot a two under 70 in China in the second round for his first sub-par score in 22 rounds since he shot a one under 71 in the second round of the South African Open Championship in late November last year. 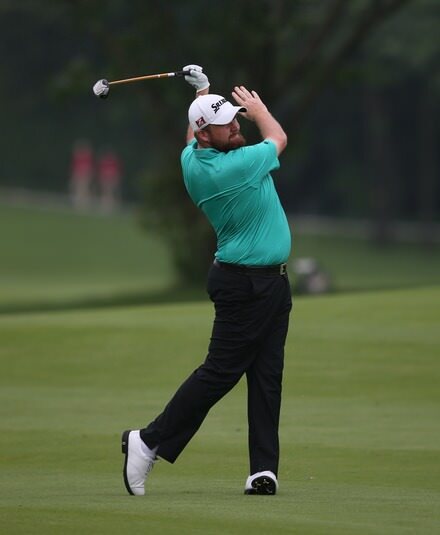 As for the Volvo China Open, Michael Hoey made three early birdies to take the lead but bogeyed the 17th, 18th and second to card a 72 that relegated him to tied 20th on three under, a massive 11 strokes behind Alexander Levey of France. Levy shot the lowest score of his career, a 10 under 62, to lead by four strokes from Spain’s Adrian Otaegui and by five Alvaro Quiros on 14 under par. Ryder Cup star Ian was moving into contention when he followed a 55 foot eagle at the ninth with a birdie at the 11th to reach six under, but a three-putt double bogey at the short 12th and a triple bogey eight at the next followed. Poulter said: “Schoolboy error. [Referee] Andy [McFee] was there giving me the ruling yesterday and I have just made a mistake. We make them and I guess that was a fun one. "I took two club lengths as opposed to one and it’s a two shot penalty which turned a bad six into a really bad eight, so not the best of holes. World No 3 Henrik Stenson safely made it through to the weekend on three under, while US PGA Championship winner Jason Dufner scraped through on the mark at level par. 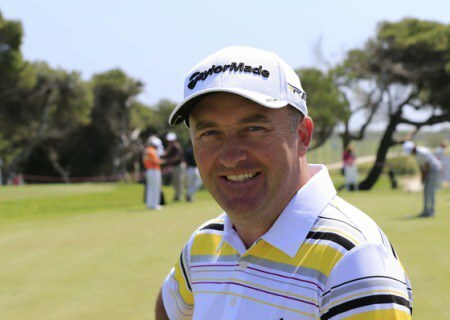 However, the rest of the Irish missed the cut with Damien McGrane (74) three shots outside the mark on three over, Lawrie and Gareth Maybin (71) four over and Lowry five over. 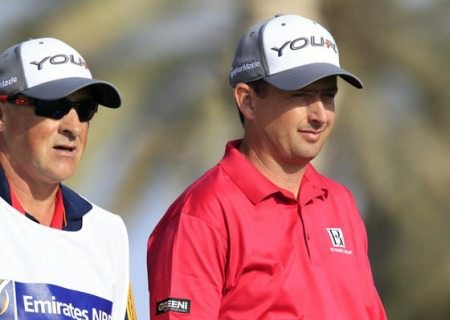 Like Lowry and Lawrie, Maybin and McGrane are also outside the top 110 in the Race to Dubai and under pressure to start producing results as the tour prepares for the lucrative return to European terrain next month.